HANNOVER, Germany, Sporting Alert – Germany will look to continue their impressive start on the road to Russia World Cup 2018 campaign when they take on Northern Ireland in a Group C at HDI-Arena on Tuesday. Watch Live on ESPN3 and streaming live on WatchESPN. The Germans currently sit at the top of the group with six points, the same amount as Azerbaijan, while Northern Ireland are in third place with four points. In their last outing, the reigning World Cup champions were easy 3-0 winners over the Czech Republic, while Northern Ireland blasted San Marino 4-0 in their last qualifier. Northern Ireland will be trying to steal something from Tuesday’s game, but head coach Michael O’Neill also noted that his team will not go on the road and play open football and allow the world champions to run all over them. “I think you can win any game,” O’Neill said. But for Tuesday battle against Germany, he has a specific plan. “If I look back at how Germany lost in the semi-finals in Paris (2-0 to France), it was a game that on the balance of play they shouldn’t have lost,” he added. “It is feasible to win any game. We need a lot of things to go in our favour. We will only win the game by being difficult to beat. “If from that approach, we can manage to win the game that’s how we’ll do it. “We won’t come here like the Czech Republic and play 4-4-2 and let’s have a great go and the game’s over in 25 minutes. “We will have to be very rigid in how we play. “From being a team that’s extremely difficult to beat, then we have to maximise what possession we have, how we utilise that. Meanwhile, England are on the road for their Group F clash against Slovenia at SRC Stozice. 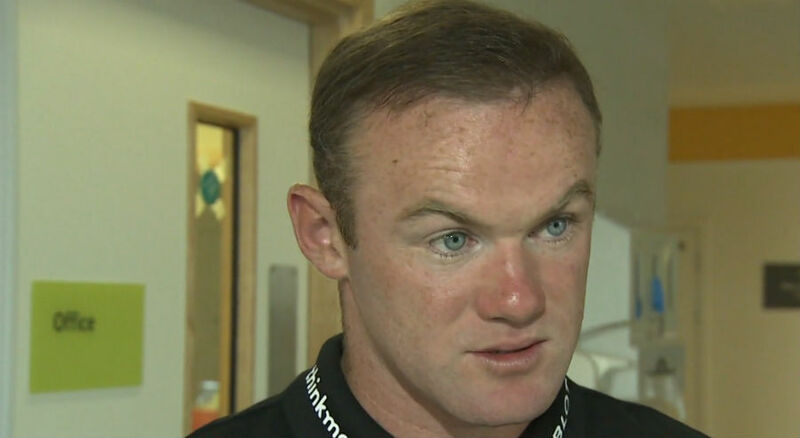 We are not sure as to how the Englishmen will lineup, but we can report that interim boss Gareth Southgate has already confirmed that captain Wayne Rooney will be left out of the line-up for this World Cup qualifier. Rooney started in the midfield on Saturday in the 2-0 win against Malta and was booed by sections of the Wembley crowd, which was a bit puzzling to a number of pundits, high-profile managers and former players. Southgate admitted that after taking a look at how Slovenia likes to play, he needed to make changes for this encounter. “It’s very straightforward,” he said. “We’ve looked at Slovenia and the way they play and from when I looked at it I’ve had in my mind the profile of the midfield that we wanted to play. Liverpool skipper Jordan Henderson will lead the team.